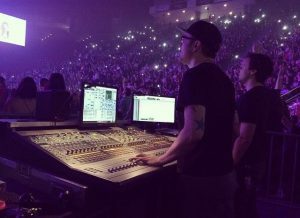 Last spring I had the opportunity to work with Adam Jackson, FOH engineer for Christina Perri on a live recording in Seattle at the Neptune Theater. Having worked in a lot of venues and with a number of different crews, you never quite know what to expect when you walk in the door the day of the show. 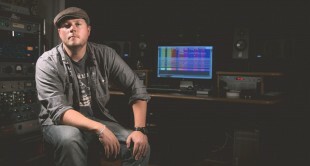 Adam and the entire Christina Perri crew were so on top of it and great to work with I was almost taken aback. Adam is not just an exceptional engineer, but overall just a great person to work with and a strong leader of his crew. We had the chance to talk about touring, favorite consoles, the best venues to mix at in the US and how to get your foot in the door on a big tour.